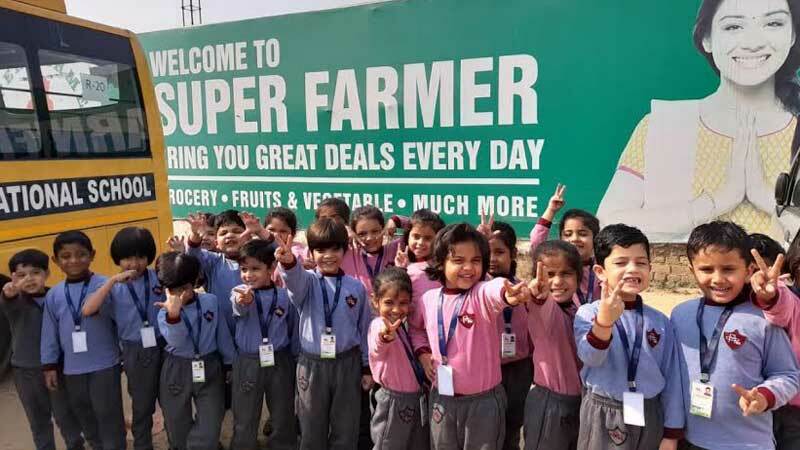 The little learners of kindergarten of MRIS-14, Faridabad were taken on an exotic journey of ‘Land to Hand’, where they learnt how food from farmers gets on our plate. The day began with the class incharge depicting and explaining the process of churning wheat to flour. The children were taken to a localized farmer’s supermart where they could witness a flour mill machine at work. They learnt how wheat grains get processed through a grinding machine into flour which in turn gets packaged to reach our homes and then is cooked for our consumption. The learning journey continued with an interesting and elaborated ‘Jam on Toast’ activity. This activity was explained with an industrious setup and depiction of all the processes involved in the production of jam i.e. right from plucking of fruits to peeling, washing, boiling, packaging etc. 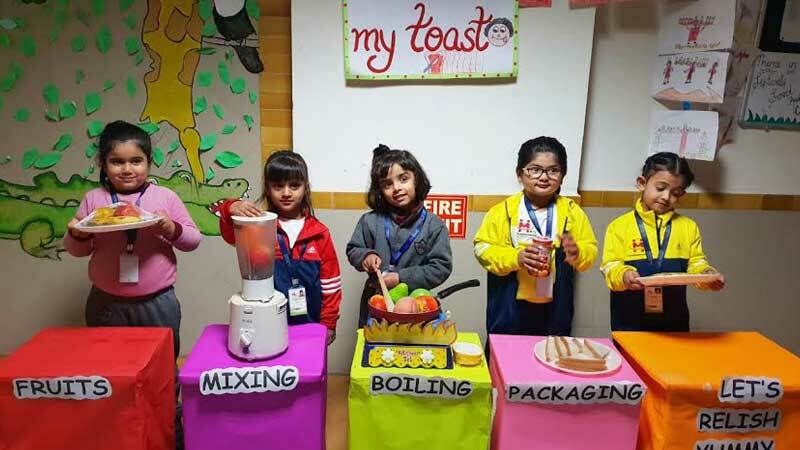 The activity culminated with the little ones relishing the jam on toast. These hands-on activities make the understanding easy for the little ones. They were instilled with the spirit of joy and excitement.